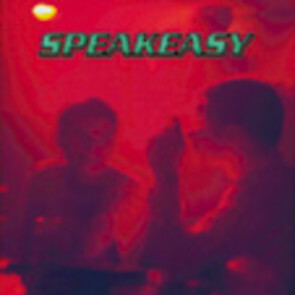 Speakeasy is a maxi-CD single of three techno-house tracks from German duo Benedict Wyneken and Uwe Wienke. Tracks 1 and 3 clock in at just over fibe minutes each while the centerpiece, "Tommy Gun," clocks in at 21 and a half minutes, though length means nothing here since all three cuts are slices of pure, unadulterated techno-house pie. This is the kind of thing found pouring from huge PA systems in dimly lit dance clubs, while throngs of sweating bodies bob about under the flickering lights. If you love dance music drenched in the deafening bass, bubbling and throbbing synths, and rhythmic stops and starts, then this may be a disc you'll want to pick up.